Make your own creation. Wraps are made to order rolled in our fresh daily - homemade pita bread and include our signature seasoned rice and salata. 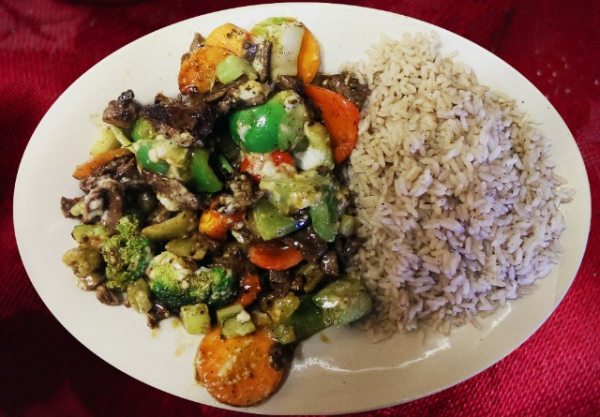 Choose the meat of your choice Pair it with a sauce of your choice and rice. Choose one of our signature wraps Let us make the decision for you. Choose one of our perfect balanced wraps packed with fresh ingredients accompanied by our choice homemade sauces and delicious toppings. Create your own. 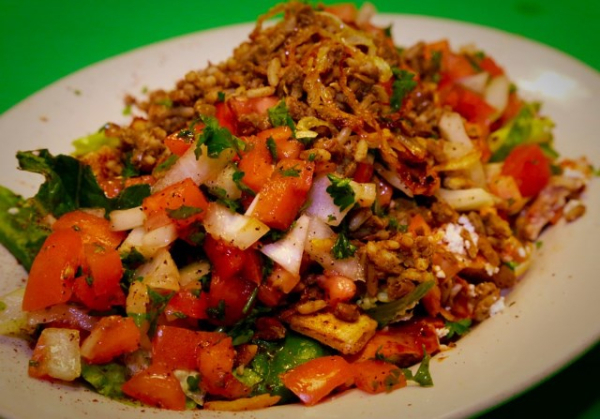 All dishes include a combination of daily fresh cut assorted vegetables. All dishes are tossed with love as you wait. Choose the meat of your choice Choose the sauce you would like to compliment it. An assortment of combination plates are offered. 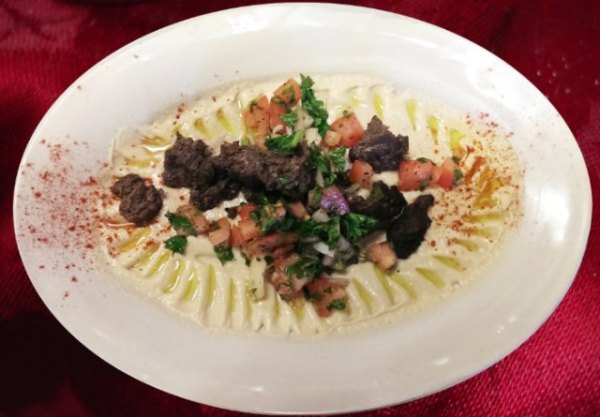 Try our homemade hummus topped with your choice of chicken, beef, or lamb. 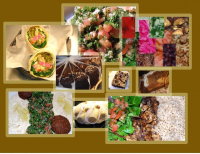 Have a veggie heaven combination plate with our perfectly prepared falafel, creamy hummus, fire roasted baba gannoush and flavorful hand prepared tabbouleh served with a side of fresh baked pita bread triangles. You cannot go wrong with any of our signature plates, yes please !!! 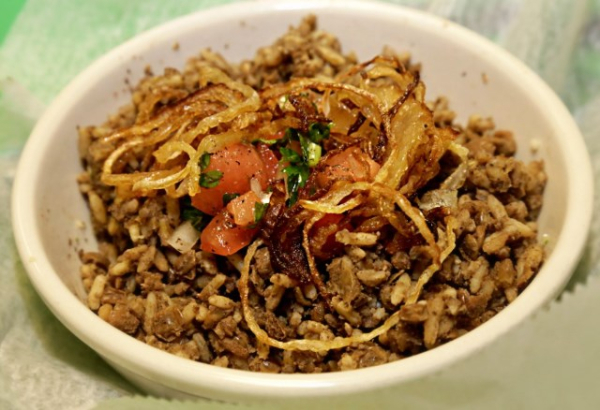 Did I mention, Lentil’s and Rice with fresh chopped salata and shoestring toasted onions on top? 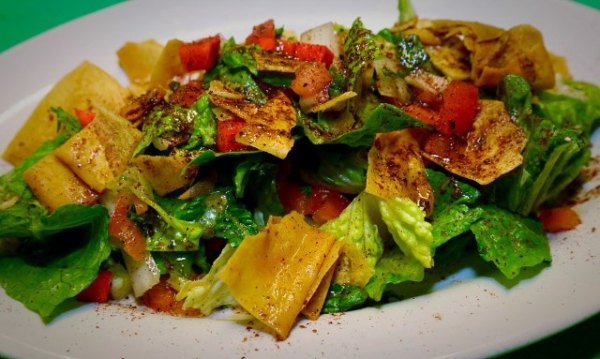 Our variety of salads are created with fresh chopped romaine lettuce (no iceberg here) and spring mix topped with delicious meats prepared and are marinated daily. 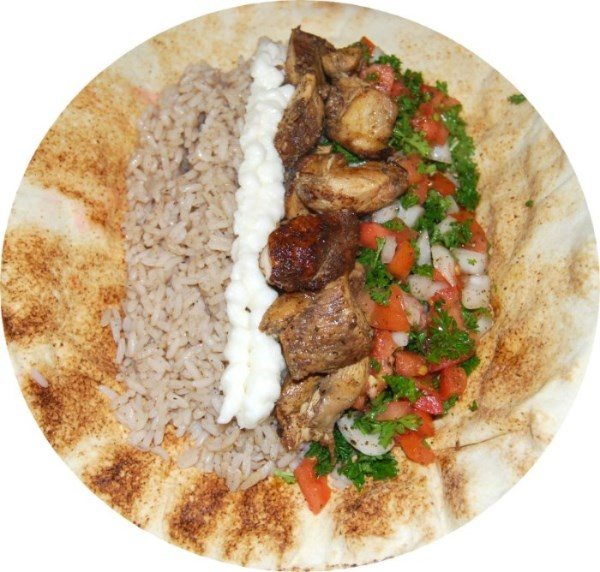 Choose from Roasted Chicken, Steak, lamb or leave it Vegetarian and top with items such as Falafel, Lentils and Rice. Any one of these salads is a good decision! 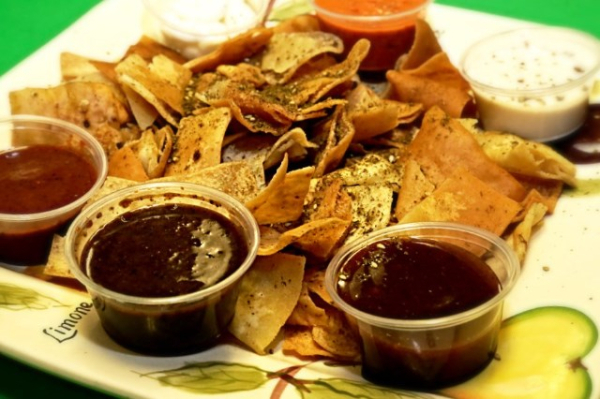 Aside from the standard menu items that are offered are hummus, baba, tabbouleh, falafel, and try our fresh cut fries with special seasoning that will have you coming back for more "ketchup please !!!" Just hot out of the pot, we now offer FRESH, HOMEMADE VEGITARIAN STUFFED GRAPE LEAVES... Oh, yes !!! Dolce Wraps, the original New Generation of Fast Food. We at Dolce Wraps pride ourselves on fast food that is made fresh from scratch and hand prepared every morning on site. 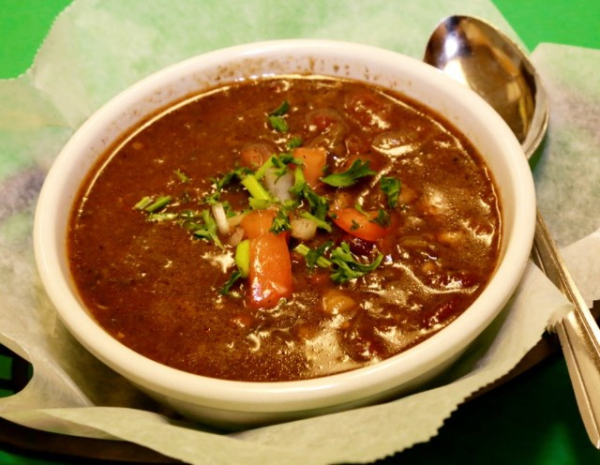 We will never serve processed packaged food products in our restaurant. 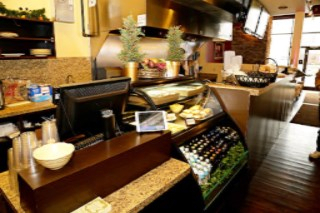 We use nothing but the freshest ingredients to prepare our foods to serve to our customers. Fattoush is a juice, crunchy mix of cucumber, tomatoes, onions, kalamata olives, pickled turnips, and pita chips brightened with the flavour of sumac dressing. 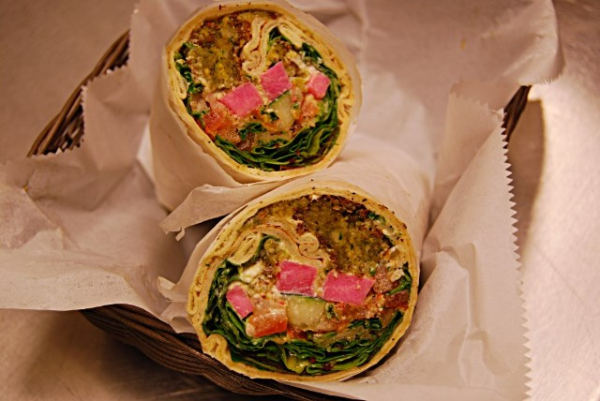 "Some of my favorites: Falafel wrap with baba and hot sauce added to it, or the lamb wrap with mango curry sauce garlic and tahini. 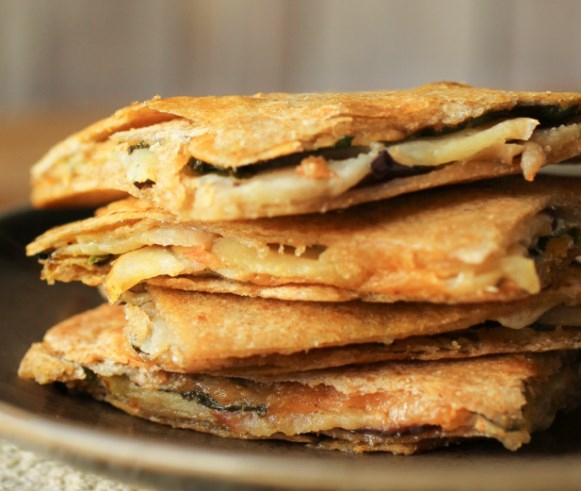 Veggie heaven is a great appetizer to split between two people." "I feel like this place gets overlooked because it's in a plaza but make sure you give it a chance! 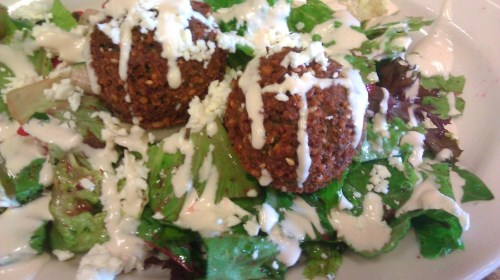 It is super tasty Mediterranean food! I've had the Moroccan chicken wrap, the corned beef wrap, and the falafel. My fiancé has had the lamb and loves it. Their wraps are huge and so delicious ! Would recommend this place to anyone!" "I can't believe I've never stopped in here! Food is fantastic accompanied by super friendly service. They ensured we tried all of the sauces (I had the mango curry, mom had the chipotle apricot and both tasted awesome) and couldn't pick a bad one. We each tried a plate, and food was so fresh and tasty, nice portions and great flavors. 4 different choices of fresh tea, so refreshing. We will definitely be back!!" 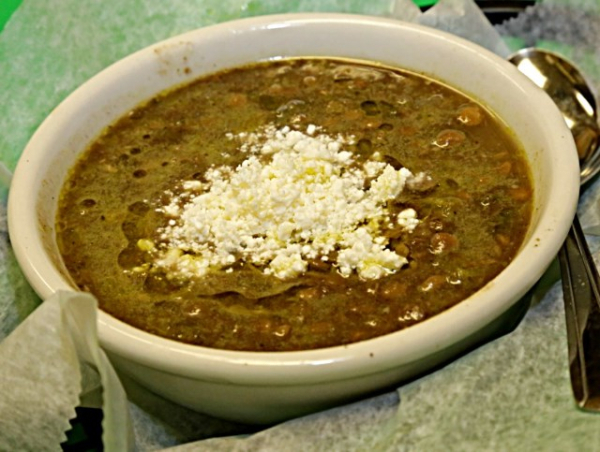 "One of my absolute favorite restaurants in the whole Cleveland area! It's quick like fast food but delicious. You've got to try the hummus! Better than anywhere else I've ever had. Definitely get a wrap. Try the chicken. Actually try everything!. 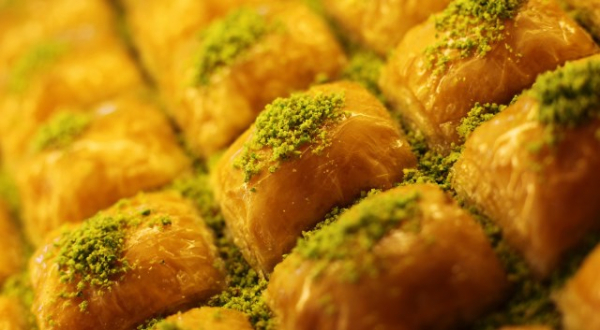 Homemade baklava. Homemade ethnic desserts. Homemade pita. Capital L-O-V-E it! I've actually told him several times their signature sauces need to be bottled and sold at grocery stores everywhere! They be billionaires." To maintain a clean, comfortable and well maintained premises for our guests and staff. To provide at a fair price – nutritional, well-prepared meals – using only quality ingredients. To thank each guest for the opportunity to serve them. By maintaining these objectives we shall be assured of a fair profit that will allow us to contribute to the community we serve.